Here's a good deal you can grab on cereal this week at Walgreens. 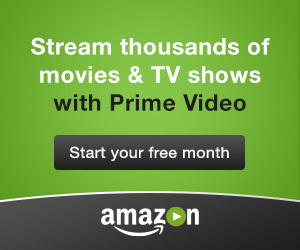 Don't forget, now through January 4th, 2016, Amazon Instant Video is offering 75% off one digital movie rental (HD or SD) when you enter promo code MOVIE75OFF in your Amazon.com account. Anyone can get this discount. 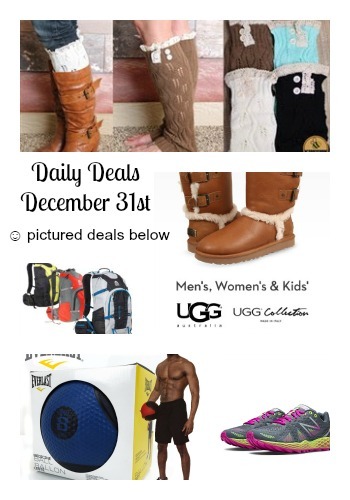 Thanks, Shop The Hot Deals! Don't forget! Crazy 8 is offering up to 75% off the entire site, plus an extra 20% off with code EXTRA20 during their semi-annual clearance event! Sizes and styles are selling quickly. 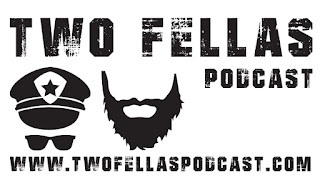 Head over HERE and browse around for your favorites. Today ONLY, don't miss this awesome deal! Rachael Ray Every Day Magazine Just $3.39 with code 15SS0103 at checkout! This is one of my most favorite magazines! Rachael Ray Every Day is every busy home cook's go-to-guide for great food, good fun and inspiring ways to relax, laugh and enjoy life. Each issue features 30-Minute Meals, Weeknight Menu Planner, $10 Dinners, Rach's faves for fun, beauty, style and home, plus hundred's of food and entertaining tips. Rachael Ray Every Day brings you smart entertaining, delicious food and spur of the moment travel plus so much more. If you love cooking then Rachael Ray Every Day is a magazine you will thoroughly enjoy each and every time it arrives! Looking to shake up your beauty routine in 2016? 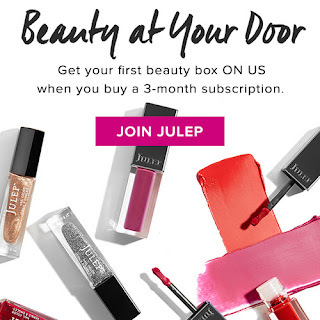 Join Julep's Beauty Box Subscription and get a box of on-trend, full-size beauty products delivered to your door every month. Want a free beauty box? Sign-up HERE for three months and not only will you get your first box free, you'll save $15 off the subscription price. 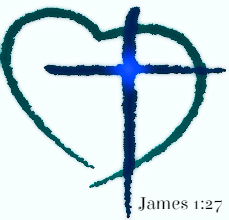 Not ready to commit? No problem! Opt for the monthly plan, and get your first box for 50% off. ♥Julep is affordable. Every month you get more than $40 of full-size products for just $24.99 per month (tip - prepay for three months at a time and only pay $19.99 a month). ♥Julep is the only customizable box of full-size, limited-run nail colors and beauty innovations. That means no surprises, no dupes or colors you don't like. You can see what is in your box each month and have the option of swapping out colors/products you already have or don't want. ♥Julep subscribers get 20% off all single product purchases, free shipping, early access to secret sales. If you are passionate about your polish, that adds up to some amazing savings! ♥Satisfaction guaranteed - just call to cancel anytime. And if you're a Target REDCardholder, you'll save an additional 5% off your purchase. I just grabbed one of these Raw Edged Cowl Neck Pullover in Oatmeal for $25.99 (Retail $54.99) - a color I don't have and will go with everything! With a chic and edgy raw edged raglan shape, we think this is a perfect pair with your leggings and favorite boots for an uncomplicated look. And to get a little head start, we are adding a dose of Spring colors to add a little bit of sunshine to your closet. Shipping: $4.99 for the first item and $2.99 for each additional item. US only. Estimated to ship by 01/08/2016. It's time to start saving in 2016 - with this Entertainment Book for $17.50 Shipped (Retail $35) with code EXP50 at checkout. This coupon book includes hundreds of discounts on dining, groceries, movie tickets and activities. Just select from the list of cities. Here is a sweet New Year's Eve treat! Participating Baskin-Robbins locations will be offering $1.31 Scoops! 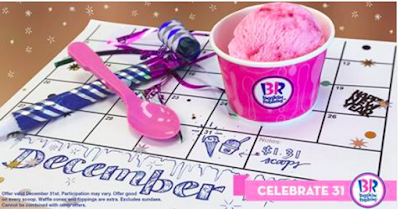 Head on over to the Baskin-Robbins Facebook page for more details or go here to find a Baskin-Robbins near you. 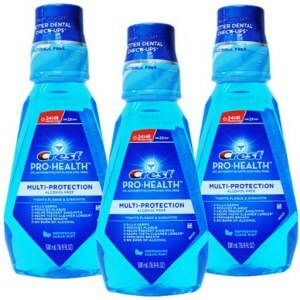 Head over to Walgreens and pick up this HOT moneymaker! 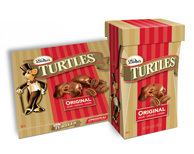 Be on the lookout for DeMet's Turtles Holiday Clearance Boxes because this makes a great deal. If your on the hunt for Under Armour Wear - Check out Under Armour's Semi-Annual Outlet Event with TONS of markdowns as they begin to push out Fall/Winter and stock up for Spring/Summer, crazy right? My sons excited about the UA Team Shooter Sleeves $11.99 (Retail $19.99). Free Shipping on orders over $49. Valid until January 15th. Here's a look at a few of my other favorite sites. Keep in mind these deals change daily and offer up to 90% off. 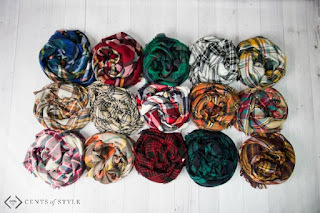 Today - Cents of Style is offering Plaid Blanket Scarves for ONLY $15.95 Shipped with code BLANKET15 at checkout. Plaid is the pattern of the season and there's no better way to wear it than in the form of a fantastic blanket scarf. Available in wide array of beautiful color combinations, pick a few for yourself, sisters, mother and best friend! 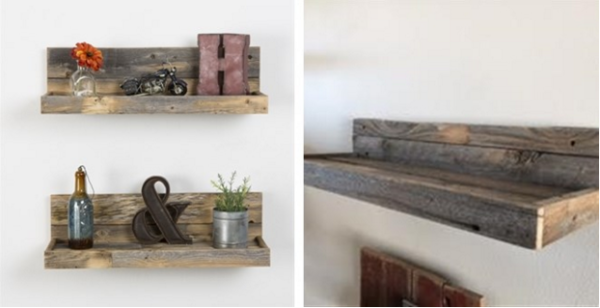 I am loving these Reclaimed Wood Floating Shelves Set! You can get them for $38.99 (retail $89.99!) I am trying to update my decor and these will be perfect! This is for a set of 2 shelves This item is made 100% from reclaimed wood. Shipping is a little pricey at $15, BUT I did some searching and they retail for $80 any where else. I'm grabbing a couple. Every piece we create is its own creation. We do our best to match our photos but wood does what it wants. This is the nature of creating home decor out of old lumber. We will do what we can to get you what you want, but a open mind is a must. Colors, textures, and character makes will always be different from piece to piece. Thanks for understanding!! 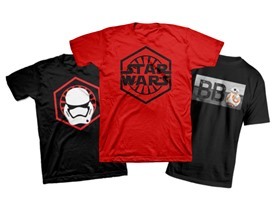 Hurry over because today only you can get Exclusive Star Wars Kids Tees (Size S - XL) for only $14.99! My kids will love these! Here's a smokin' HOT deal to kick off your New Year goals! 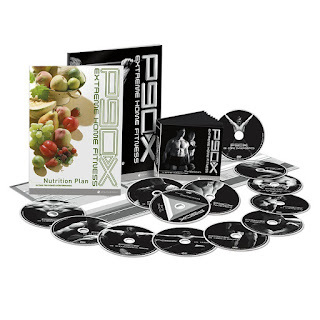 Get P90X DVD Workout - Base Kit for ONLY $49.99 (Retail $139.80)! Everyone I know that does P90X loves it and sees results if you stick with it. Exclusive Amazon Original content such as Emmy award-winning Transparent, critically-acclaimed The Man in the High Castle, and Daytime Emmy-winning children’s series Tumble Leaf make Prime Video the perfect streaming companion for the entire family! **Don't forget: You can read more than 360,000 Kindle books on your PC with this free application – no Kindle required. Download it here (for Windows 7, Vista, and XP). Amazon Prime Members - Borrow one Kindle book per month from over 800,000 titles for free on any Kindle device with no due dates. If your stopping in at Dollar Tree make sure to check and see if they have EXCEDRIN in stock! Sweet! 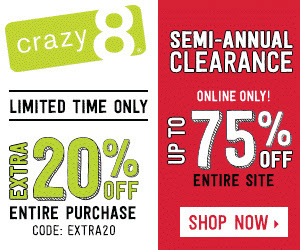 Crazy 8 is having their Semi-Annual Clearance Sale! You can save up to 75% on their entire site plus score an extra 20% Off with code EXTRA20. 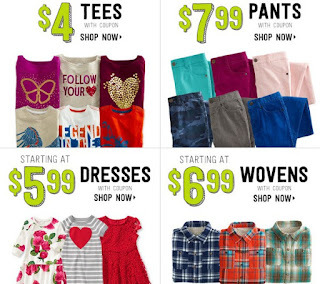 I am loving the savings on tees and pants for my kids! Here's a really HOT deal worth stocking up on for the Spring Sports and Stains! Right now Target is offering $5 Target Gift Card wyb 2 Participating OxiClean Products. Did you receive Kindle this Christmas? I did so I am excited because right now Amazon has several Cases and Covers to choose from at low prices! 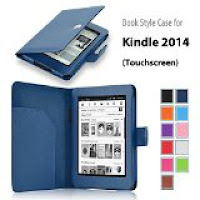 My favorite is the Glare Free (this one is made for the 7th Generation Kindle 6″ for $9.39 (Retail $19.99)! Head over HERE and shop for your favorites. Today you can get this 2 Pack of Salad To Go Sets: 2 For $7 Or 4 For $11! Shipping is free! They retail for $22. 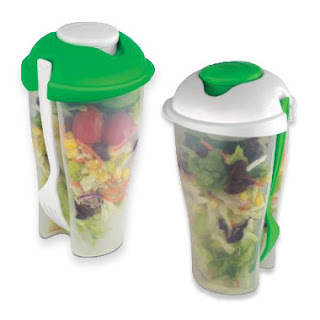 2 Pack - You will receive 2 complete Salad To Go Container sets! 2oz capsule for holding dressing, dips and more! Comes with fork that neatly tucks into the container! Check this deal out! Right now you can snag Infinity Blanket Scarves ONLY $6.97 (Retail $34.99). 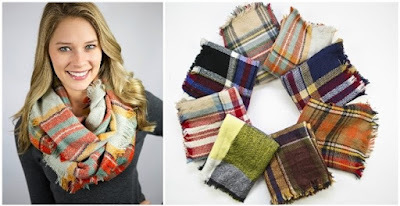 Confused about how to wear the popular blanket scarf?? We have solved the dilema for YOU!! Infinity scarves are as effortless as possible, however, just as cute!! We have taken our most popular patterns in the blanket scarf and brought them to you in an Infinity. Layer with a simple shirt, a cute denim dress or a fun blazer. A simple outfit with a pop of color will give you miles of wear. Plus the size of these will work well with younger smaller framed teens. Shipping: $3.99 for the first item and $1.99 for each additional item. US only. Estimated to ship by 01/06/2016. 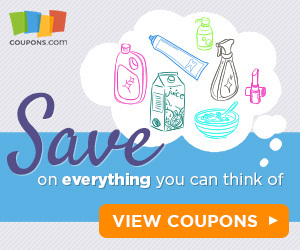 New Coupons - BEAR NAKED Granola, Barilla Pasta + More! Save 25¢ OFF any ONE (1) Package of BRAWNY® Paper Towels .Expires 2/3/2016.Save $0.25. Save 20% on any single purchase of loose Bananas at participating retailers. See offer info for complete details. Check back everyTuesday for a new Healthy Offer..Expires 1/4/2016.Save 20%. If your looking to do some baking for New Years Eve, you may wanna stop off at Dollar Tree and check out these deals! *Inventory will vary per store location. It's hit and miss! Macy's is offering an After Christmas Sale with several great deals being offered. I was excited to grab a few of these Philosophy Spirit of Miracles Set for $35 (Retail $70). Choose to live in the spirit of miracles and discover younger-looking skin. this comprehensive selection from the miracle worker family of skin care includes targeted treatments for morning and evening to address signs of aging including wrinkles, discoloration, uneven skin tone and rough texture. miracle worker miraculous anti-aging moisturizer, miracle worker overnight age-resetting, anti-wrinkle moisturizer and miracle worker miraculous anti-aging retinoid eye repair are advanced skin care formulas offering radiant results. let miracles happen and start revealing a younger-looking you. 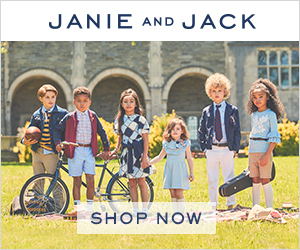 Plus take an Extra 15% Off with code WONDER at checkout on Clothing for the Whole Family & Jewelry.